Program Overview – PhD in Business. The PhD in Business Administration Program is a higher education opportunity for driven and passionate individuals who want to excel in the area of research and build an academic career. Through this program, prospective students can pursue this goal by getting enrolled in a PhD program in one of the many prestigious institutions in Canada. Canadian Universities enjoy an enviable position in the rankings of higher education institutes around the world. They are known for their commitment to quality education while providing students with every prospect to learn, grow, and contribute. As a PhD student in Canada, you will have the opportunity to study and work under the wings of a highly qualified faculty. With the right supervision and an environment that facilitates learning, you will develop refined research capabilities. The experience of studying in Canada is not just intellectually challenging, it is also exceptionally enriching. Other than the aforementioned areas of specialization, there is a possibility of a cross-field program based on thematically-related studies in multiple fields that lie within the same faculty. In rare and special cases, such a program can also be arranged even if the chosen fields do not lie within the same Faculty. The first and foremost requirement is the passion and the drive to pursue a research-oriented academic career. If you are an intelligent, creative, and educated individual with the desire to learn and explore more in your chosen field of study, you should see if you fulfill the eligibility criteria for PhD in business Administration program in Canada. Here are a few pre-requisites that make you a strong candidate for this PhD program. A Masters Degree is required to apply for this PhD program, expect for in rare cases; in case of exceptional academic record, admission can be granted on the basis of a Bachelors Degree. Since the research-oriented nature of this degree, candidates may have a previous degree in an area other than business e.g. Computer Science, Psychology, Economics. Operational Research, Math, Physics, and similar branches of science. A candidate must have official score sheet of GMAT or GRE. GMAT is preferred for all the areas of specialization expect Management Sciences, where GRE is favored. IELTS (International English Language Testing Service) is mandatory for international students applying for the program. You should have a minimum overall band score of 7.0 with all the component score equal or above 5. Preferably, a candidate applying for this program must have strong background in STEM subjects as well as social and physical sciences such as psychology. Completing your PhD in Business Administration in Canada requires a minimum of two years of course work. On average, students in Canada take four years to successfully complete their PhD, which includes thesis preparation and defense. 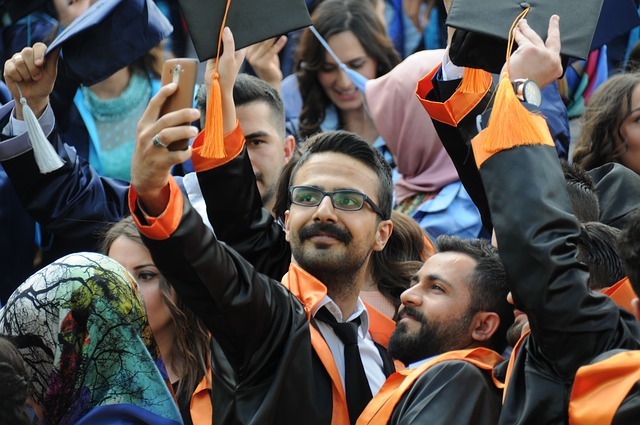 However, you can complete your program within six years, provided that the comprehensive examination is cleared and the thesis proposal is submitted by the end of the third year. With a belief that financial constraints should not prevent students from pursuing their dreams, universities offer financial support to deserving PhD students in Canada. Students will receive financial support that will cover the annual tuition fee for the first five years. Students who are able to maintain a remarkable record in the program will also receive an additional annual sum of $30,000 for the first five years of the program to a total of CAD 150,000 for 5 years. Here are the details of the $30,000 support and how it is arranged over the period of five years. A PhD coursework combines the study of two types of courses. In their first year of study, all students in the program must take a seminar in Research Methodology. The purpose of the seminar is to raise and discuss basic issues in the philosophy of science, and study research in the different areas and disciplines of management. The seminar provides the students an upfront view of the research methods and skills, prompting creative ideas for further improvement. Study of each course is followed by a comprehensive examination to measure the level of learning and understanding of the basic concepts, their application, and other elements covered in the literature of the field. All students need to pass each exam in order to move forward with their program. This PhD program requires all students to write a scholarly dissertation that displays their contribution to the area of research and study in their particular field. The dissertation proposal is prepared under the supervision of a dissertation committee, which then approves and assists the student in conducting their study. Once the dissertation is ready, the students need to present their findings and inferences to the committee and prepare to defend and justify it.